Did you know that by the end of 2017 major part of all the internet traffic would be coming from video ? Today, video marketing is a very decisive tool to ignore. Content rich videos can keep the leads captive and drive them go to next step buy or subscribe to your product. Now a days there are many free tools available to create such killer videos. Create such videos along with the background music and optimize the video for search engine to drive more and more traffic. Are you wondering about what makes Youtube ads so much better than TV advertising? If you’re not already using Youtube to promote your business on the web then you can bet that you’re leaving a lot of money on the table. Many of the top web marketing professionals in the country recommend Youtube ads and for good reasons. In this article, we’ll tackle a few of the significant benefits of Youtube advertising as opposed to conventional TV ads. Youtube can deliver ads to as many as 14 million people a month; that’s bigger than all the ads delivered by television networks in Australia. This is hardly surprising since people don’t need to be sitting down in front of their television to see your ads. We know how high the usage is in smartphones these days and Youtube allows you to run advertisements on people’s phones while they are sitting at a bus stop, waiting for a train or wherever it might be. You don’t need a huge lump sum to get started with Youtube advertising unlike TV, where you’ll typically need $10,000 to $50,000 to get started. You can start using Youtube to promote your products or services for as low as $50 and start displaying your ads to the right audience. Youtube makes it easy to get people to take action on whatever it is that you need them to do in terms of responding to your ads. Whether it’s buying something, submitting a contact form, downloading a brochure or whatever it might be; it’s easier for people to do that since they can just go ahead and click on a button or a link and accept the action. Unlike that of TV advertising, you only pay Youtube when someone actually views your ads. Your TV ads might be playing but people may not necessarily be watching as they are free to do other things like go to the bathroom or have a snack. You can get up in the middle of a movie or a show and businesses get charged for the TV ads regardless. 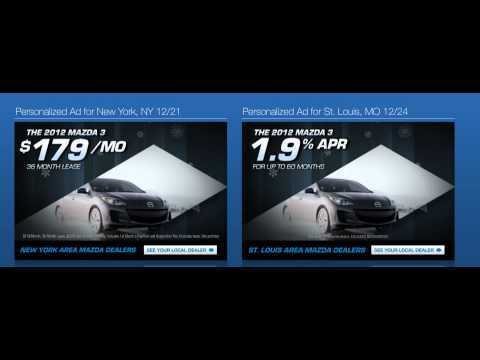 In the case of Youtube ads, you only pay when people finish seeing your ads or if it has been shown for at least 30 seconds or longer. This means that if your ad is 35 seconds long and someone watches it for less than 10 seconds before closing it out; you don’t get charged for that ad resulting in free views. With Youtube ads, you’re not just showing your stuff to random people as you would with TV ads where you’re limited to general demographics about who is watching it. Youtube lets you see who exactly are watching your ads and the actions that they’re taking in response to it. This means that even without an e-commerce website, you can do stuff like track phone calls, email forms and contact requests. Youtube ads are superior to TV ads in terms of tracking and can give you valuable data that’s just plain impossible to get with the latter. This includes data on who bought your product or service, where they’re from and valuable demographic data such as age, gender and ethnicity. More importantly, you can overlay the data to figure out the profile of customers that are giving your business the most money and target more of those people accordingly. Put up good ads on Youtube and it doesn’t even have to be a direct “call to action” advertisements and you’ll get social proof. You can put up educational or entertaining videos that are relevant to your ad and people will start sharing it or promoting your ad to their friends resulting to more views with no added cost or effort on your part. If you’re good at crafting really good or “viral ads”; people talking about viral marketing and how their videos became viral on Facebook or Youtube. Needless to say, you can’t do this with TV; people can’t share your TV ads with other people and such is the power of Youtube advertising. So there you have it - 7 specific reasons why Youtube ads beat TV advertising. Do you have any questions or do you need help setting up Youtube advertising? Get in touch with us here at https://www.thinkbigonline.com/; we’ll be more than happy to help! Wondering about how to get your video to show on the first page of Google and Youtube? It’s not as difficult as you might think and in this article we aim to give you a good idea on how you can do just that. Google has voice recognition software that has been implemented on Youtube for quite some time now. This software picks up on the words that you’re actually using in your video and determine which keywords it should be ranking for. Now the video posted above was made to rank for “How to Get your Youtube Video on the First Page of Google”. Notice that the exact words were mentioned at the start of the video and towards the end. This will help Google recognise what your video is all about. You can generate traffic for your video from blogs, Youtube, Facebook, LinkedIn or any other platform that allows you to share your videos with users. Once you’ve published your video, it’s important to get as much traffic as you can. Setting up Youtube ads is yet another solution to cheaply generate traffic on the platform and build up engagement for your video. When uploading your video, make sure that you put your keywords on the title and description. You can also include other words that are related to the search terms that you’d like to rank for. Again this will help Google determine what your video is all about. Don’t just put in keyword after keyword; make sure that you tag your video with related terms. In the case of the same video posted above, we’ve tagged it with related terms like “Google SEO”, “Youtube SEO” and “video SEO”. These are all related keywords to the words that we wanted to rank for. Simply ask people to share your video if they like it or put in a comment. Perhaps they can send your video to their friends? Make sure to include a call to action encouraging people to interact with your video and it’ll help it rank much higher on Google and Youtube. Both Google and Youtube will know whether or not your videos are being embedded on blogs and other websites. Such videos are perceived to be useful and good in quality; something that people will enjoy. Thus it’s a good idea to embed your videos on as many websites as you can. You can even ask other people to do it for you so long as it’s relevant to them. All these will help your video to rank on both Google and Youtube. So there you have it - 5 steps on how to get your video to rank on the first page of Google and Youtube. If you need help ranking and getting traffic for your video on Youtube, go to https://www.thinkbigonline.com/ and contact us. We’d be more than happy to help providing you with free consultation and see what we can do to get you more traffic. Will the iPhone 5C and 5S Blend? The “Blend It” YouTube sensation Tom Dickson is back to test the new iPhone 5C and 5S! Having only been able to obtain a collection of 5Cs, the 37-year-old Blendtec places the iphones in the blender, only to then be surprised by his flashy, decked out in bling doppelganger who also has a blender and the gold 5S. Fans that have been patiently waiting for this video will not be disappointed as the former CEO and current board member hits the switch allowing the blender to start. It’s exactly what you expect, the fast spinning blender reduces both phones to plastic dust, or as Dickson names it “rainbow smoke” and “gold smoke” as Dickson’s gold grille sparkles and an animated unicorn fly’s out from a rainbow of the 5C dust. The Blendtec Company has previously tested the blendability of other iPhones and iPads, so for more "Will it Blend?" episodes check out their YouTube channel. Will you be buying the new iPhone 5C or 5S? 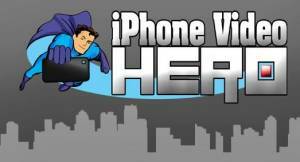 Iphone Video Hero is an ingenious video making course designed to enable users to come up with professional quality marketing videos out of a device most people already have on their pockets – the iPhone! 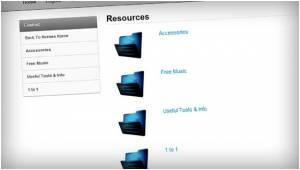 (The course also applies to Android devices with rich HD recording features). It practically turns the iPhone into a video production tool and eliminates the need for specialized video recording equipment which can cost thousands of dollars. Now the course was created by Jules Watkins – a former BBC and MTV director so he does know a thing or two about creating professional quality videos. The course provides a complete walkthrough, tips and strategies on how to create professional quality videos with iPhone. It provides tutorials, recommended apps and effects to come up with videos that are just as good as those taken by more expensive video recording equipment. Perhaps the best thing about iPhone Video Hero is the idea itself – creating professional quality videos straight out of an iPhone which is something that marketers never would have thought possible. Whether you are an internet marketer, blogger or running any kind of business online, you can take advantage of the professional video production capabilities of a device you’re likely already using. It’s particularly useful for users who lack the resources to spend on specialized recording and studio equipment. Who can benefit from iPhone Video Hero? The course is highly recommended for anyone looking for a practical and inexpensive alternative to video marketing without sacrificing results. Of course you’d have to own an iPhone or any other smart phone that matches its HD recording specs but that’s already a given. Whether you are internet marketer who wishes to capitalize on the advantages of videos as a marketing tool without breaking your finances or a casual blogger looking to breathe new life to your content, iPhone Video Hero is certainly worth checking out. For just $97 and a 30 day money back guarantee, most people would have to agree that it’s a steal and far much less compared to what you’d have to spend on expensive and complicated professional recording equipment. Are you interested in iPhone Video Hero? Purchase through this link and choose one of several great bonuses that we offer at www.thinkbigonline.com/bonuses. Simply send us the receipt of your purchase at [email protected]. The Revenue Earning Advertising You Don’t Want To Miss Out On! What if your company could advertise to thousands of people at the same time while specialising in each different location or region and make a decent return? This is possible through the innovation and ideas of Eyeview technology. By seamlessly integrating real time messaging into video, Eyeview provides personalised video advertising to its clients. In its head quarters of New York, Eyeview is broadcasting quality individualized viewing experiences which amplify any brands marketing message to their specific audience. You can view some of Eyeviews personalisation below. What separates this form of advertising from traditional video marketing is that an ad for a nation retailer can be tailored to highlight local stores and deals. Although the examples in the video are mostly focused on location, Oren Harnevo, CEO and co-founder said ads can also be personalized based on things like weather and time of day. Additionally what makes Eyeview king is that their personalisation happens in the video itself instead of being altered using flash banners or other overlay. This means a company can produce as many versions as they like and deliver the correct version of the video to each target market while being able to also update information like pricing and deals. Eyeview has taken their efforts to another level by making their product even easier for companies to use as there is no integration required from the video publishers, meaning their personalisation works across all devices. Although Eyeview took time making its initial entrance into the U.S. market, they are now working with big advertisers like Land Rover, Lowe’s, Toyota, Paramount and Target. Not convinced by the big names? He also added that revenue grew 6x between 2011 and 2012, and it’s on-track to grow the same amount in 2013. With funds raised to a total of $19.4 Million, Marker and existing investors, Lightspeed Venture Partners, Gemini Israel Funds, and Nauta Capital continue to supply the new funding that will go towards expanding Eyeviews market and developing technology. How does Video advertising affect you? Or are you completely oblivious to any advertising out of your mobile screen...or? Tell us what you think! 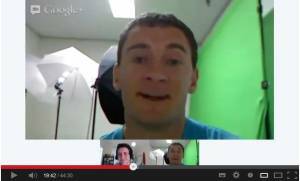 Part 2 of Online Marketing Consultant Samuel Junghenn On StartupClub.tv! In this episode Samuel reflects on Think Big Online's integrated marketing technique and answers the questions about the "Bigger" picture of Online Marketing. Additionally Samuel discusses advertising, PPC, SEO, Social Media, Email marketing, auto responders and Video Marketing. Top 5 Social Media Recomendations for your business. So what were Social Bakers recommendations? Monitor and measure your activity DAILY. This will give you real time analytics. Drive the industry and invest in innovations. i.e redbull space jump. Post only local and relevant content in a timly manner. Make sure you get into the newsfeed. Look into when your competitors post, just schedule before them, steal their thunder! Looking to start out with video marketing as a means of promoting your company/business and the products or services that you offer? Well videos can certainly come a long way as an internet marketing solution but the process itself can be quite daunting especially for those who don’t have the slightest clue about what’s important and where to start. Read on for some great tips that aim to cover everything from producing your marketing videos to optimizing and promoting it online. First off, you need to ask yourself whether you are willing to produce such videos yourself for your business or outsource the task entirely. The rest of this post will of course assume that you’ve decided to take on the task yourself which brings us to the next step – deciding what type of videos to make in web marketing. Options include Q&A formats and product demonstrations just to mention a few. Starting out with Q&A comes highly recommended and should be fairly easy to produce than others. Customers and prospects had probably sent you a couple of questions about your products or services. Marketing with videos through the Q&A format presents an engaging and effective way to address such questions and raise brand awareness. You will of course need a good camera – you don’t really need to get the most expensive ones as they often come with features that you don’t really need. A simple flip camera will often suffice although you may want to opt for an HD camera for the best quality. It would be best to get the ones that have automatic smart video capturing functions as it eliminates all the guesswork involved in its operation. Microphones – audio clarity is just as important as video quality and oftentimes camera integrated cameras won’t suffice. It would be best to get a boom mic or any external microphone that can be placed near the subject without causing unwanted distractions. Lights – you’ll need a lot more than simple indoor lights if you want to produce good quality videos. Umbrellas and a simple light box setup should suffice and eliminate shadows for well balanced and great looking results. A good choice of background – when marketing with videos, you will want something plain and professional perhaps anything of dark color with your business logo on it. Backgrounds that are too colorful or diverts focus away from the subject won’t do you any good. Have the questions carefully picked out and prepared along with your best answers for it. These questions should be right up your ally since it’s all about your business after all. Q&A marketing videos are often non-scripted but take the time to write down and practice your answers for the best results and smooth flow of information. Remember that with enough practice, anything can be done better! Smile and relax – how can you expect to get your viewers to trust you and be interested with what you have to say when your video wreaks of nervousness and low self-confidence? Just relax and try to enjoy it. After all, you’ve made your preparations and practiced well so what’s left is to pull everything off and make it look easy which will certainly help you gain the confidence and interest of viewers. Okay so you already have your raw web marketing videos taken, so what now? Well the next step is the post-production phase which includes among other things, creating video intros and outros. You can’t expect to just put up the raw video online for you prospects to see do you? Now there are tons of video production programs that you can use for your marketing videos. These programs can be as cheap or expensive as you need them to be. You can use the basic video editing software often comes preloaded on Mac and Windows computers (iMovie and Movie Maker) or go for premium ones that produce high quality and professional looking results. Last but certainly not least is optimization! Regardless how amazing your video marketing content is, it’s not going to amount to anything if you can’t get your targeted prospects to actually see it. We recommend producing a transcript for your marketing videos and publishing it along with the video of course. That way, viewers can also check on the transcripts as they watch your video should they have trouble hearing or understanding whatever point you are making on your video. Don’t forget the title, category and description tags as well! The idea is to provide everything the search engines need to seek out, index and rank your video. Optimize everything you can with relevant and target keywords as you would any web content. If you have your video marketing efforts hosted towards video sharing platforms such as Youtube, it pays to have your video optimized there as well by again setting appropriate keyword and description tags as well as selecting the right category for your videos. So there it is! Basic guide and tips to video marketing from the ground up! Think that we left anything out?